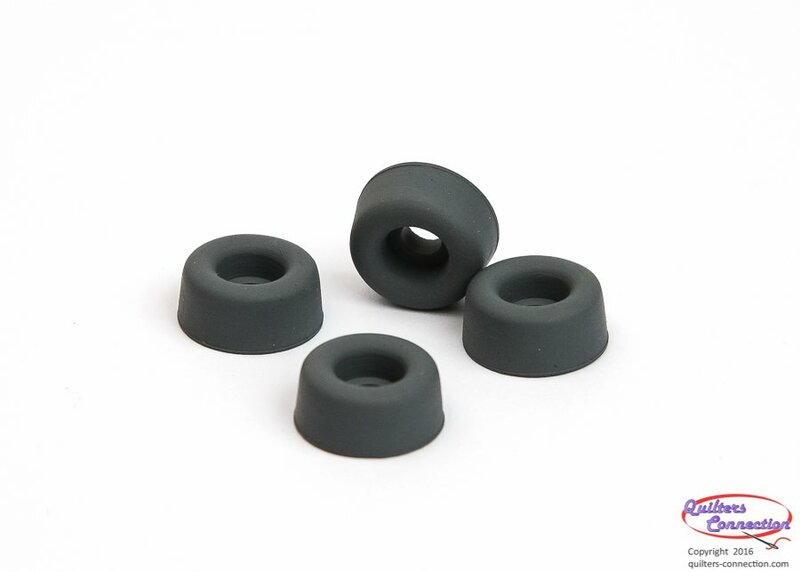 These bed cushions are the rubber feet for the bottom of your Singer 221 or 301 machine. Ours have a great fit on both the machine and the screw - no more fighting to get the screw in the middle of it. Soft enough to offer good dampening, reducing vibrations transmitted from the machine to your table, and machine stays put! If you have a 222 Freearm CLICK HERE to go to our set of 5.